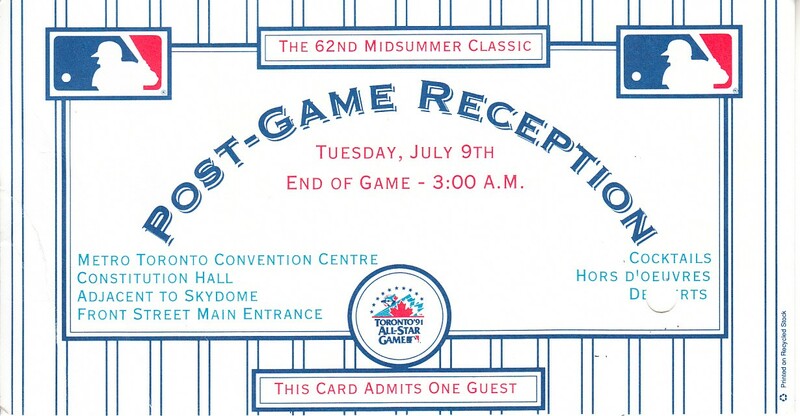 Roughly 3 by 6 inch ticket to the 1991 MLB All-Star Game Post-Game Reception in Toronto. This event was open only to players, guests and VIPs. Has hole punch showing use and minor flaws and wear. ONLY ONE AVAILABLE FOR SALE.